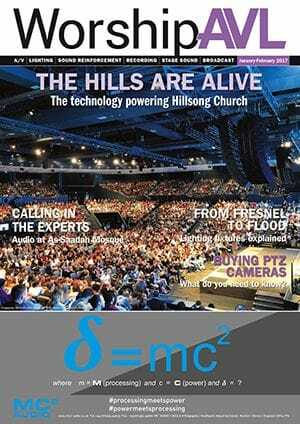 Worship AVL is a bi-monthly magazine which is a specialist title covering audio, video & lighting in the booming house-of-worship market. 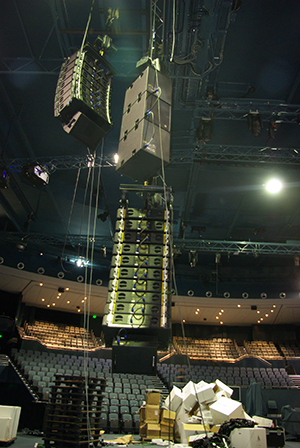 CMI has recently been deeply involved in some high-level Adamson installations with Hillsong Church - most recently at their Baulkham Hills campus. The full extent of the installation is detailed in the latest issue for January/February and below is the section pertaining to the churches speaker choices. The new FOH system was installed in late March following an in-house design predicted in EASE. 'The Canadians helped us enormously with the system design following help initially provided by Ewan McDonald. 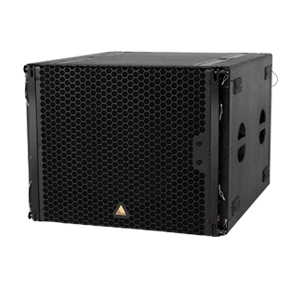 The L-R FOH upgrade combines E12 cabinets with Adamson's recently released E119 19-inch subwoofer. 'The subs are both compact and extremely powerful,' adds Mr Cook. 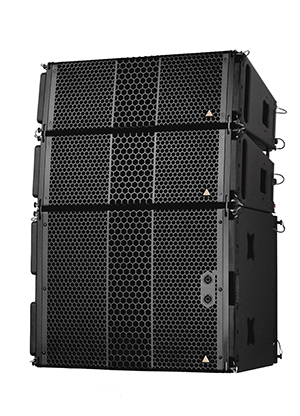 'They provide serious low end when needed while blending seamlessly with the PA.' The E12 system is further boosted by six ceiling mounted T21 subwoofers operating in cardioid mode and steered down towards the stage. 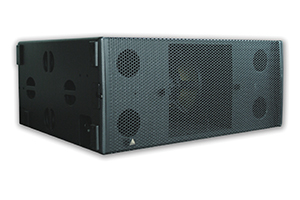 The E119 subwoofers are run in theatre mode and provide just as much LF extension as the T21's. Rack-mounted above on the overhead catwalk grid, Lab.gruppen PLM10000Q amplifiers power the entire system. Dante network cards have been inserted to provide full monitoring and control, whilst redundancy back-up has been added in case of amplifier failure. Finally several clusters of Metrix cabinets have been ceiling suspended for the side and rear-fills.